The circle from east to west closes once again. Shinichiro Watanabe (Cowboy Bebop, Samurai Champloo) is directing a short anime project set in the Blade Runner universe, entitled Blade Runner Blackout 2022. It airs on Sony's YouTube channel on September 26, but no word of other distribution yet. 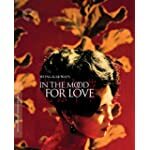 Wong Kar-Wai (or Kar-Wai Wong, if you go by family name last), of In The Mood For Love, Ashes Of Time, and many other magnificent movies that deserve a discussion here, will be directing a crime series for Amazon. Article says "the hour-long drama is set around clashes between Chinese immigrants and the mafia in San Francisco Chinatown." I'm down — so much so that I feel obliged to check it out and report back at some point. Two new productions recently landed from Public Bath to help complete the picture. One is Kan Mikami: A Life In Folk, a document of the indie folk singer, sometime-actor, and all-around counterculture hero. He can be glimpsed, among other places, in the movie adaptation of Ryū Murakami's Topaz, a/k/a Tokyo Decadence, and he performs, to tremendously jarring effect, in Takashi Miike's psychedelic horror fantasy Izo. The other is Dokkiri! Japanese Indies Music 1976-1989, the title of which is pretty self-explanatory. 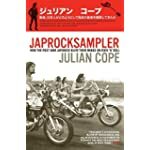 Both are available, in highly limited quantities, from Japan'Archives. When I stumbled across Land of the Lustrous in its original, untranslated version, I said something to the effect of, "There's no way something this nifty is ever going to come out here." I was happy to be proven wrong, and now as an added bonus, an anime adaptation of the property is headed our way. From what little can be seen here, there's some great use of CGI animation as a medium and not simply as a cost-cutting measure. Normally I wince whenever nerd-dom or otaku-dom is co-opted by mainstream corporate concerns of any kind, but whoever in Arby's marketing division that came up with their Twitter-based ad campaign — one that successfully references everything from Jojo's Bizarre Adventure to Kill La Kill without screwing it up — deserves credit. Maybe not a whole lot of it, but still.